The Soto Huisar family is thrilled to receive a new hom thanks to your generous giving! Jose Juan works in a brick factory, earning around $60 a week to provide for his family. The children attend school regularly, and Lourdes cares for the baby and the home. 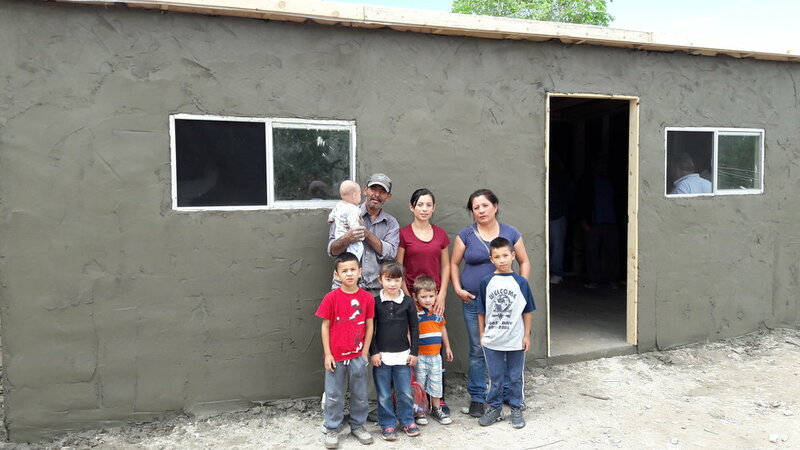 Their exsting home was very unsafe, and they asked that we pass this message along to you: "We are very grateful for this help that we are being giving and to God for blessing us." Thank you for supporting the mission of Homes for Homes and this family! Older PostThe Fierro Castro Family Now has a Home!